More than a quarter of Costa Rica’s total area is made up of national parks and protected rainforests making it a popular travel destination for outdoor enthusiasts. 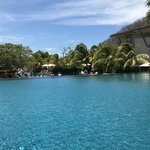 Below, we’ve put together a list of adventure activities to consider when visiting the nation of “pura vida” (pure life). Blessed with a geographical location close to the equator between the Caribbean Sea and the Pacific Ocean, Costa Rica ranks high for geological diversity, volcanic formations, exotic birds, and endangered wildlife. And it’s manageable size — roughly the same size as Denmark — allows you to pack in several adrenaline-pumping activities into one trip. The best way to optimize your experience is by renting a 4x4 vehicle, perhaps the most adventuresome activity of all. Courageous drivers can expect unpaved roads, steep climbs, and occasional water-depth-checks to see if a river is passable. Instead of relying on cell service, unfold a map and ask locals for advice before hitting the road. Alternatively, there are plenty of tour options with professional drivers. (It’s best to secure excursions in advance, especially during peak travel season.) Keep in mind Costa Rica’s rainy season falls between May and December. This all-ages activity lets you get to otherwise unreachable views with nothing more than a good pair of walking shoes. Costa Rica offers innumerable trails throughout dozens of national parks, rainforests, volcanoes, and nature reserves, where it’s common to run into white-faced monkeys, two-toed sloths, and scarlet macaws. Park rangers keep a close eye on the weather and volcanic activity and will close portions of the terrain if they feel that it is unsafe. Most of the trails are suitable for intermediate hikers, but advanced types have plenty of challenging options, too. Get up close to Arenal National Park’s active volcano by hiking through areas of regenerating nature from the last lava eruption. 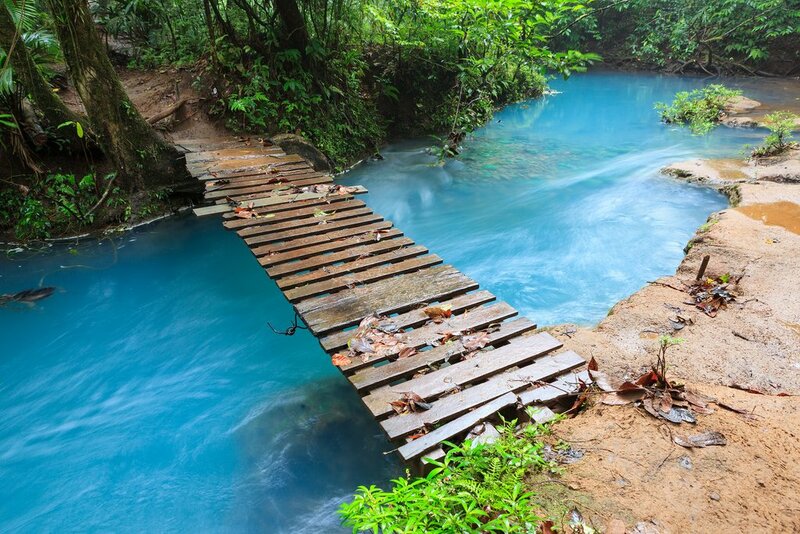 Not far from Arenal is Tenorio Volcano National Park with hiking trails to Rio Celeste waterfall, a stunning site that drops into a vivid blue lagoon. Sun-worshippers in Manuel Antonio National Park can skip the crowds by hiking to uncrowded beaches. For more challenging heights, drive three hours south of San Jose to Mount Chirripo, the tallest peak in Costa Rica at more than 12,000 ft.
At Arenal National Park, you can take a fun ride on the dirt road that circles Lake Arenal. More advanced trails can be found in Rincon de la Vieja, the only place in Costa Rica where you can bike on an active volcano. Hard-core cyclists can sign up for the annual Rincón de la Vieja Challenge, an extreme 100-mile mountain bike race held every August. For those based in the capital, there’s a mountain bike park in La Angelina, an easy day-trip from San Jose. 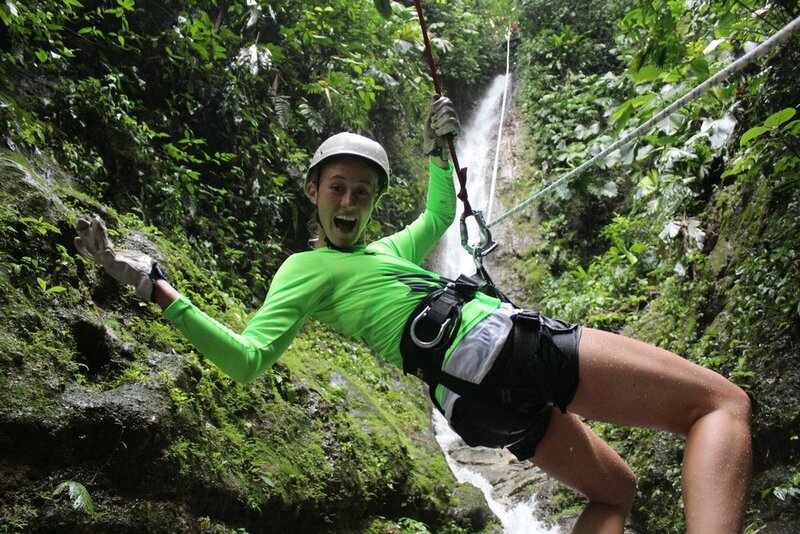 Otherwise known as rappelling, canyoning is a relatively new activity to Costa Rica with origins in the Austrian Alps. This is suited for those brave enough to climb to the top of one of the many waterfalls in Costa Rica and descend to the pool of water below by sliding downwards. (It can also include rock climbing, jumping, rope swinging, swimming, or a mixture of all the above). Join an excursion with professional guides who will suit you up in protective gear. Some tours offer several rappels in the same package along with other activities for a great multi-adventure day. Arenal National Park has a series of waterfalls that can rise up to 200 ft. high. South of San Jose is Turrialba Valley where you can rappel down several waterfalls and multiple cliffs. Montezuma Falls in Nicoya Peninsula has three swimming holes, two with rope-swings, and one for cliff-diving. Use extreme caution if venturing on your own. 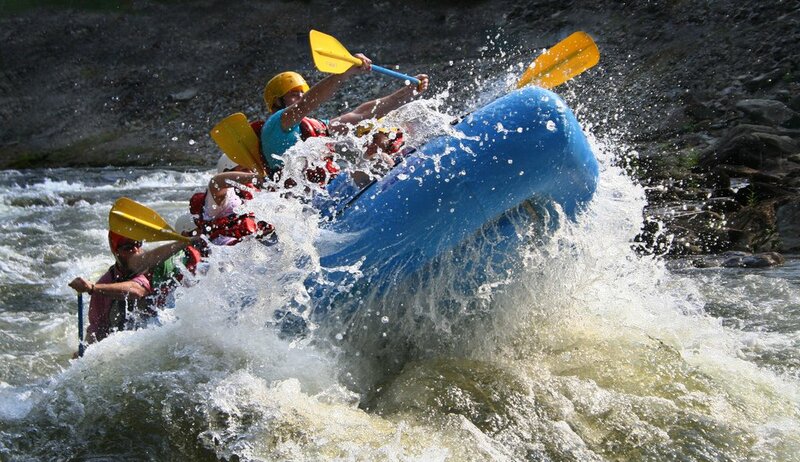 Whitewater rafting is a great way to experience Costa Rica’s natural beauty. Paddle down roaring rivers while twisting, turning, getting soaked, and surrounding yourself with rare species of flora and fauna. Costa Rica has 14 major tropical river systems that begin in the mountain ranges and flow out towards both coastlines. Choose between single-day and multi-day excursions, as well as a range of difficulties varying from Class I to much more challenging Class V rivers. Located along Costa Rica’s Caribbean slope, Rio Pacuare’s river gorge is considered one of the best rafting rivers in the world with warm water and stunning green scenery. Pacuare is divided into 16 sections like the Lower Section, with intermediate Class III and IV whitewater. Keep an eye out for the Huacas waterfall, a 150-drop dramatic drop into the river. 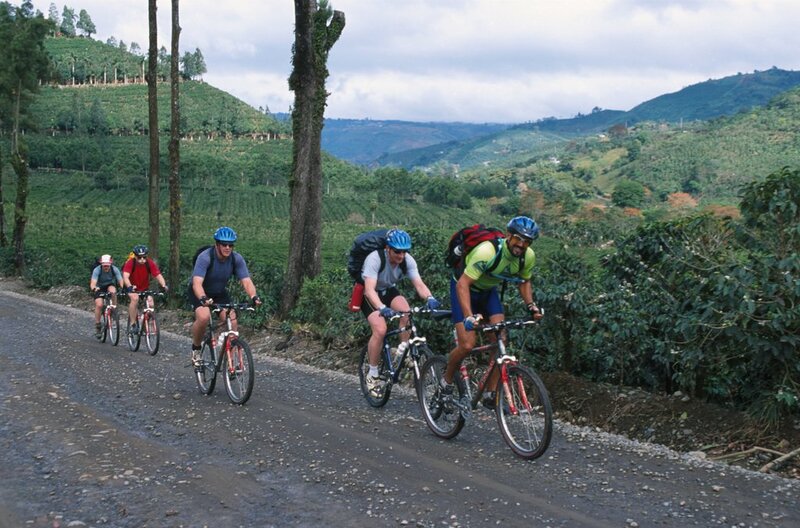 This activity is practically synonymous with Costa Rica tourism, as it was invented here in the 1970s. Stainless steel pulleys mounted on cable offer a means of flying through remote natural areas, stopping and starting from platforms strung at various heights between trees. In addition to the thrills, zip-lines educate riders on ecology, biodiversity, and reforestation. Many zip line operators are based in private forests or wildlife refuges and include hiking to reach launch pads between zips. You can find zip lines all over Costa Rica, but some of the best ones are in Arenal, Manuel Antonio, and Monteverde Cloud Forest. 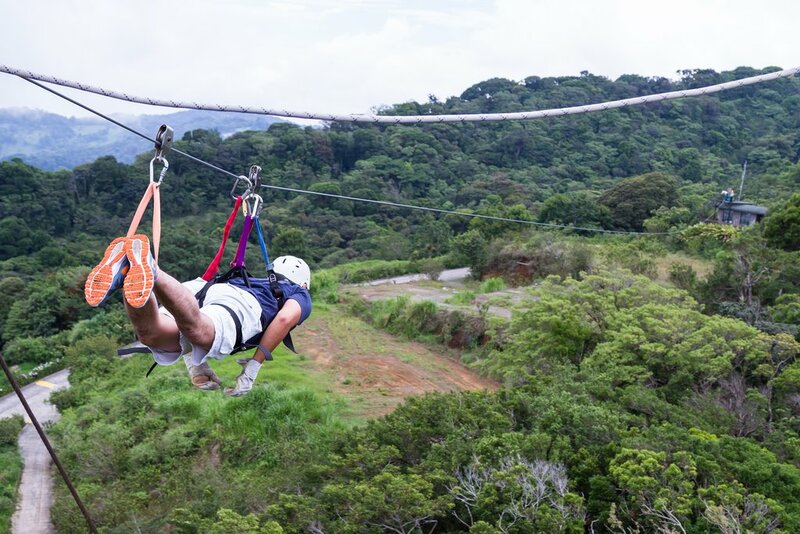 Another highlight is Guanacaste’s Diamante Eco-Park, with zip lines set within the region’s dry tropical forests. Costa Rica is a legendary world-class surfing location and the tropical climate means there’s no need for a winter wetsuit. Blessed with consistent waves, prime surf spots can be found along the Pacific coast where smaller and more consistent surf is generated by low-pressure systems. The recent rise in surf camps and surfer accommodations have made the sport much more common for traveling surfers (and newbies). You’ll find enough waves to choose from whether you’re a beginner or an experienced surfer, as well as a range of courses and schools to suit your level. 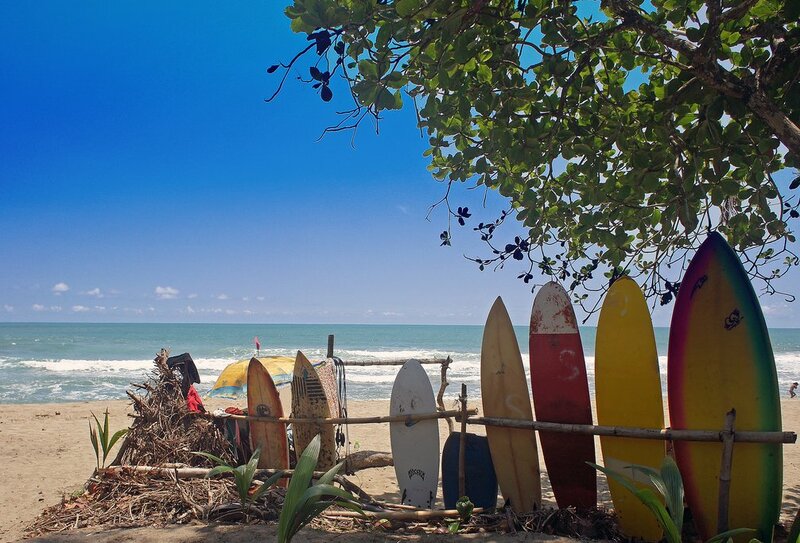 Surf towns in Nicoya Peninsula like Santa Teresa, Nosara, and Tamarindo have plenty of options, as do emerging surf towns like Domincal and Uvita on the central coast. The Caribbean side attracts advanced surfers to Puerto Viejo where massive waves break over a floor of sharp coral reef.